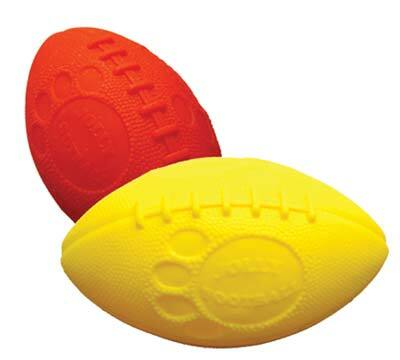 Jolly Pets - Football [JF08] - HKD200 : PetPetMaMa , The Best Products for our pets! Jolly Football is constructed with low-density polyethylene and is durable, puncture resistant yet soft and safe for everyone! This 8" football can be launched through the air, spiral and bounces when it lands.